In a world filled with different groups of people; the athletes, nerds, musicians, it often seems like we let these hobbies define not only how we spend our time, but also who we spend our time with. However, this is not the case for senior Dennis Angelov, because of his versatility, athletic ability, and intelligence, he is able to excel at a variety of activities. Angelov isn’t like other students when he comes into a new classroom, the first thing he does is try to create a bond between him and the teacher. Whether this be by making endless jokes or by asking questions so idiotic that the teacher just gives in and laughs. Senior Nate Glancy sees all of these great characteristics firsthand. One of his past history teachers Matthew Wiemer shares a similar sense of humor with Angelov, making them have a unique bond. Angelov is known as the class clown, but he is also the person you ask for help when you can’t solve a problem, the one who knows the answer to every question the teacher asks. Angelov’s academic success isn’t only apparent on his report cards, but he is also the recipient of multiple achievement awards. “I was commended for national merit, I won state medals for science Olympiad, qualified for the state and international level vex robotics competition last year, fifth place at procom, a computer science competition, last year,” Angelov said. Even for top students, most people don’t even consider applying to Ivy League schools. Angelov decided to reach for the stars, and his goal is to attend either Stanford or Yale next fall. Success like this doesn’t come easily to anyone, but Angelov’s natural comprehension ability makes his life much more simple. 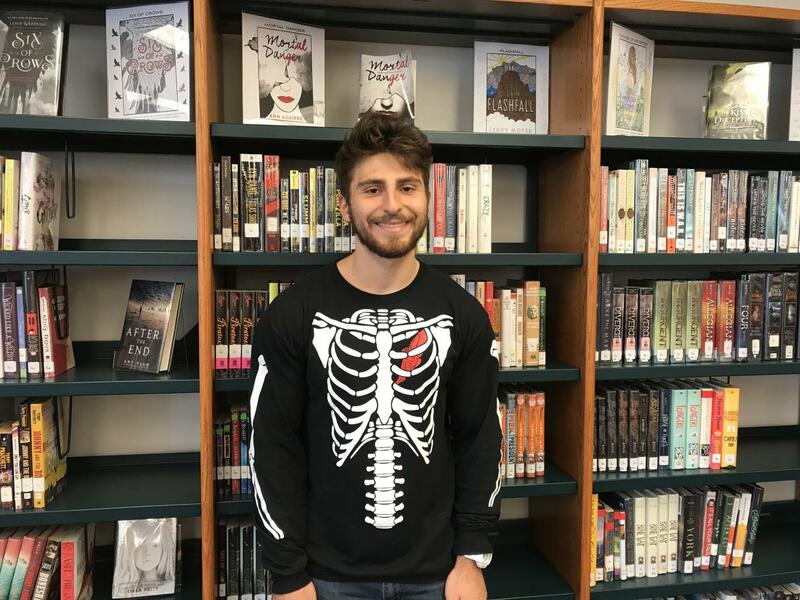 His involvement does not end in the classroom, Angelov is also an extremely well-rounded individual who participates in a variety of activities. “My school activities are cross country, ping pong club, science Olympiad, vex robotics, tennis, and wyse, and my personal activities are piano, and working on personal computer science projects,” Angelov said.